You demand quality that you can see and trust. DaBella and Preservation® windows deliver both. DaBella offers windows with unparalleled energy efficiency versus your old, out-dated windows. Whether you are looking for a replacement window or an upgrade from your inefficient, leaky windows, DaBella has a solution to meet your needs. DaBella offers leading-edge, triple-pane windows that offer superior energy conservation, flawless user operation, and enduring beauty. 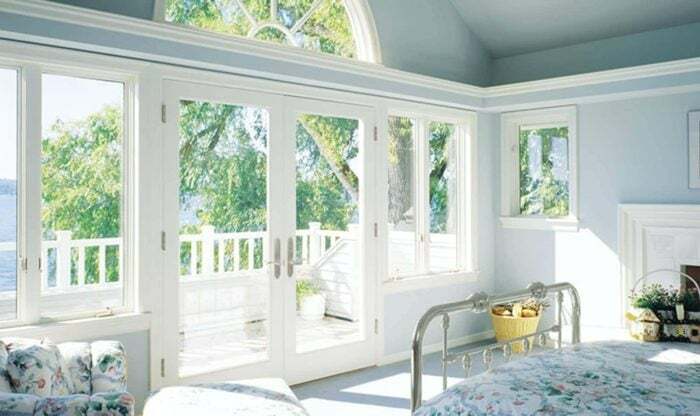 DaBella windows come in a variety of options, including: single-hung, double-hung, sliding, awning, gardening and more. In short, call us and we will help you realize your home dream. See the difference that DaBella and Preservation windows make in your life. And in the life of your home. High-efficiency replacement windows are one of the smartest investments you can make in your home. As the exclusive dealer of Preservation® windows in multiple states, DaBella offers unsurpassed American-made quality, functional beauty and maintenance-free operation not found anywhere else. Our selection is extensive: From single- and double- hung windows, swing and clean windows, to sliding, casement, picture, garden and awning windows in bay, bow and box formats, DaBella and Preservation helps you see the difference. These are simply the finest Preservation products available, installed by Preservation technicians to factory specification. And you’ll rest assured in knowing that our limited lifetime transferable manufacturer warranty protects you from the chill of winter and keeps your family cool when summer temperatures rise. Clearly. Preservation's highest award for high-quality installation and service standards; design expertise, and established and consistent reliability; results-oriented consulting for energy solutions and project appearance; fair pricing practices; a solid reputation in both the community and industry; and high rates of customer satisfaction. Recipients must have a minimum of five reviews with a 5-star rating; maintain an overall customer service rating of 4.5 or better; and have no homeowner complaints in the last 6 months. Overall grade, an average of all reviews. Recent grade, an average of category reviews from last 3 years Review period grade, an average of category reviews from Nov. 1st of the previous year - Oct. 31 of the current year. Good business standing with Angie’s List. Have at least 3 reviews where the member has indicated that services were performed. GuildQuality is the industry's a third-party customer satisfaction surveying service. In order to receive a Guildmaster Award, a member must achieve a recommendation rate of 90% or greater feedback from the most recent 20 customers who responded to a survey. Candidates with 100 or more survey responses in the year must have a minimum survey response rate of 50%. As Oregon, Idaho and Colorado's exclusive dealer of Preservation windows, DaBella is able to offer our customers the Preservation® Lifetime Limited Warranty. That’s fully-transferable peace-of-mind, which not only protects you, but the resale value of your home. And for our Washington and Arizona customers, we are able to provide the exact same warranties by, Sheffield and Mezzo, respectively.